All our services are provided free of charge so support from the local community is paramount for the hospice to continue its services. Sale and information day on the ground floor of Rawtenstall Health Centre. Asda Collection Day,if you can spare an hour or two of your time to help please get in touch. Walk for the Hospice. No minimum sponsorship required. Come along and join us at our coffee morning. Put your team’s skills to good will! 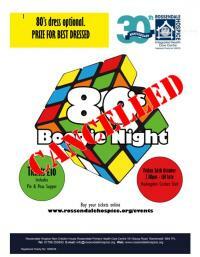 Rossendale Hospices' most prestigious event is back! In its 20th year, the Special Events Committee are organising a Mardi Gras themed event not to be missed. Details on how to book - coming soon. Feeling Fit? Join the Riverside Health Club, Rawtenstall Spin-a-thon. Rossendale Woman of The Year 2019. La Turka Restaurant Rawtenstall would like to invite you to spend an evening enjoying an ultimate VIP experience discovering Tropic's product range. Fundraising collection day at Tesco Haslingden - if you enjoy chatting with the public and can spare an hour or two of your time to help please get in touch with us on fundraising@rossendalehospice.org or 01706 253633 option 3. Fancy a fun Quiz evening? Join SI Ramsbottom and support the Hospice. The Refectory Community Cafe at St Thomas Church Helmshore are opening on Saturday 23rd of February. All proceeds are being donated to the Hospice. Morrisons Collection Day,if you can spare an hour or two of your time to help please get in touch. Annual concert held at Blackburn Cathedral with Rossendale school choirs and international opera star Sean Ruane. This years Youth Enterprise Challenge launch event was held on the 10th October. Instead of sending Christmas Cards this year, why not do something special and sponsor a star. Enjoy good music and entertainment at the Classic Bounce Night. Jimmy Eaton's Christmas Ball at the Riverside, Whitworth - with entertainment from Elvis Tribute Jim Santana & The Midnight Vegas Band. Take part in a Christmas Jumper Day and help raise funds for Rossendale Hospice. Light up a Life is a special event where donors may like to make a dedication in memory of a loved one, a special friend or indeed to mark a special occasion. To celebrate our 30th Anniversary year come along to our coffee morning. Annual Ladies Christmas Lunch at Nino's. Join us at St Mary's Chambers for a fun evening of entertainment. Enjoy some family Halloween fun and join us at our two day Spooktacular pumpkin trail. Sale of artwork and information day on the ground floor of Rawtenstall Health Centre. Why not support us during Hospice Care Week. Join the 'Friends of Rossendale Hospice' for an entertaining Musical Extravaganza evening as part of the Hospice's 30th Anniversary celebrations. 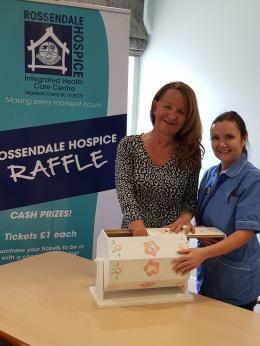 Woodcock, Haworth and Nuttall Solicitors will donate 100% of their fee for making your Will to Rossendale Hospice. Places available now for The Great North Run 2018! You can be part of this year’s event by registering to run for Rossendale Hospice. Tesco Collection day at Rawtenstall. We will have lots of information on our services and leaflets. Haworth Art Gallery are holding an Art and Craft Fair in aid of the Hospice. Join the Round The Hills Walk on Sunday 2nd September and raise money for the Hospice. Get your thinking caps on and head down to Sunnybank Social Club for a fun quiz night. Enjoy a family friendly weekend of Midsummer Movies and Music at Whitaker Park. To celebrate our 30th Anniversary year please come along to our coffee morning. Bacup Golf Club are holding a Fashion Show - all are welcome. Celebrate our 30th Anniversary year please come along to our coffee morning. Walk for your favourite charity, no minimum sponsorship required. St Anne’s Church and St Anne’s Primary School , Egdeside are organising the first ever Spring Festival in the area. Come along and join us at our first 30th Anniversary coffee morning. The Blind Tiger in Rawtenstall are holding a Tigerfest on Easter Sunday. Co Op stores in Waterfoot and Haslingden are holding an Easter event. The Co Op are holding a Mothers day event. The Refectory Community Cafe at St Thomas Church Helmshore are opening on Saturday 24th of February and donating all proceeds to the Hospice. Anacapri are holding their annual Bonfire and Firework display. If you can spare an hour or two of your time to help please get in touch. Family fun with bands playing throughout the day and into the night. Our Friends group are holding a Summer Delight in July - afternoon tea with Pimms! Join us at St Mary's Chambers for a fun night of dancing, food, music and magic. CHANGE OF VENUE! The Houghton Weavers will now be appearing at Haslingden Cricket Club on 3rd June with all proceeds to Rossendale Hospice. A fun filled charity day in memory of Jean Grogan; thanks to Shannen for organising the event. Fundraising collection day at Tesco Haslingden - if you can spare an hour or two of your time to help on 6th and 7th December please get in touch with us. Get in the Christmas spirit with an evening of carols with Stacksteads Band. Jimmy Eatons Christmas Ball at the Riverside, Whitworth. If you spare an hour or two of your time to help please get in touch with us. Why not hold your own event during Hospice Care Week? The Hospice Friends group are holding a Hos-spice night at AnarKali! Clogs, Caps & Shawls fancy dress with fun for all the family! Why not treat yourself to Afternoon Tea and a Dawn Rose Fashion Display, everyone welcome to come along! Tesco Collection day at Rawtenstall. Can you spare a couple of hours out of your day? Contact Fundraising if you can. Jimfest 2016 with live bands, licenced bar and food! Dare to race? Be king of the hill! If you have a burning desire to try something new then this one’s for you.